Technically speaking, a class action lawsuit offers the ability for a small group of people to file a lawsuit on behalf of all those who are similarly situated. What that means, in practice, is that there is still an avenue of justice when, individually, plaintiffs might have difficulty winning a case—or could decide it wasn’t worth their time to do so—because collectively they may have a large, meaningful claim. While these lawsuits are a common, worthy tool for consumer advocacy complaints, people often fail to recognize that the true power of class actions extends far beyond righting specific customers’ wrongs. Class action litigation is a form of collective action that can change society at its core. Let’s demonstrate this, with five examples of class action lawsuits that have improved people’s lives, and even transformed the nation. 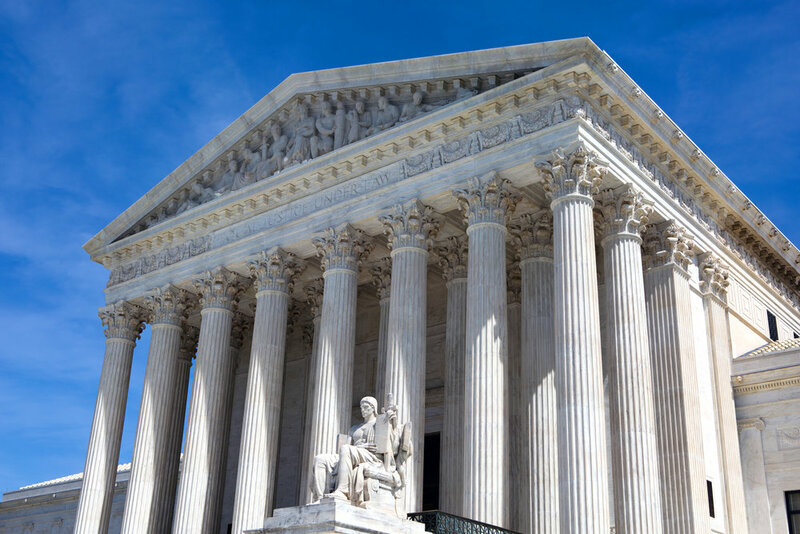 In the Brown v. Board of Education ruling, the Supreme Court famously held that “separate but equal” standard was unconstitutional and thereby ended school segregation in the United States. The Court’s decision ultimately became a lesson that impacted every aspect of American life: Racial segregation is inherently wrong, and it must end. But many are unaware that Brown was a class action lawsuit—and a classic example of one, at that. Individual students were harmed by states’ policies of “separate but equal”—a doctrine to justify racial segregation in schools, as long as the facilities were “substantially equal.” However, these students would have had difficulty proving direct injuries from these policies, and, of course, every family wouldn’t have had the resources to file a suit for a claim. But together, the students could demonstrate that the states’ pattern and practice was manifestly unfair, and the policy damaged us all. There was concern about the dangers of using of herbicides in combat—particularly the United States’ military use of Agent Orange—as early as 1964; however, the practice continued until 1975. Returning veterans came home from the Vietnam conflict complaining of problems related to chemical exposure, but they were denied benefits related to these claims. Then, in 1979, a group of veterans filed a class action against the five manufacturers of Agent Orange. The case was eventually settled, establishing a fund to compensate the veterans and their families. But the impact of the litigation had just begun with the settlement. At a time when society as a whole often rejected these Vietnam veterans, federal and state laws were created to protect them and provide them with additional funds and services. Meanwhile, the controversy catalyzed new regulations—relating to the use of chemicals in the military—and scientific studies that continue today. From Erin Brockovich to Flint, Michigan, our awareness of dioxins’ impact on the environment and human health arguably is due to the Agent Orange litigation. On April 20, 2010, Deepwater Horizon, an oil rig in the Gulf of Mexico, exploded, killing eleven people and releasing millions of barrels of oil into the sea. The oil spill continued to flow for the next two months. While the U.S. government pursued criminal and civil actions against BP, a class action suit was also filed, covering 100,000 claims by fisherman, property owners, and other individuals who alleged harm by the oil spill. Eventually, BP will pay out billions in compensation for damages. There are two settlement funds established for individuals—one for economic claims, and a second for medical claims. These substantial settlements were achieved only two years after the explosion. In December 2013, hackers stole the personal information of more than 70 million Target customers and credit and debit card data from in excess of 40 million. The affected customers and 47 states sued Target, for failing to safeguard consumer information. Even before the parties eventually settled the case, this class action changed the way companies go about protecting customer data. Target and other major retailers increased data security measures. Companies now realize that customer data is one of the most valuable assets they have, and they must actively protect data, just as they would any physical possession. In 2007, Facebook introduced a program called “Beacon,” which monitored and shared users’ non-Facebook activity without their consent. Facebook users filed a class action lawsuit for this privacy violation. In the settlement, Facebook had to terminate Beacon, and it was also required to set up and fund a foundation to educate consumers about privacy and identity protection online. More broadly, Beacon has driven home the importance of consumers’ ability to opt-in to data exchanges, instead of opt-out: Firms act at their peril when they give away individuals’ personal information without express prior permission. The recent news regarding Facebook’s disclosure of information to third-parties such as Cambridge Analytica (which itself is subject to several class actions) shows that these concerns persist. Class actions have changed lives, protected our environment and so much more. Class actions change how Americans talk, think about and see the world. For more than 70 years, Wolf Popper has championed clients’ interests through individual and class action litigations—from our historic work during the McCarthy era and Civil Rights litigation to modern day securities fraud and consumer protection issues. If you have been wronged by a company, organization or governmental entity, contact us today for a free consultation and assessment of your case.